Demi Lovato and Odell Beckham Jr. Went on a Date! Barely giving her heart a break! Demi Lovato was spotted on a date with Odell Beckham Jr. at New York City’s Hunt & Fish Club restaurant on Tuesday, July 19, nearly two months after she called it quits with ex-boyfriend Wilmer Valderrama. The “Cool for the Summer” singer and the NFL star, both 23, enjoyed a late-night dinner at the Manhattan eatery, an onlooker tells Us Weekly. 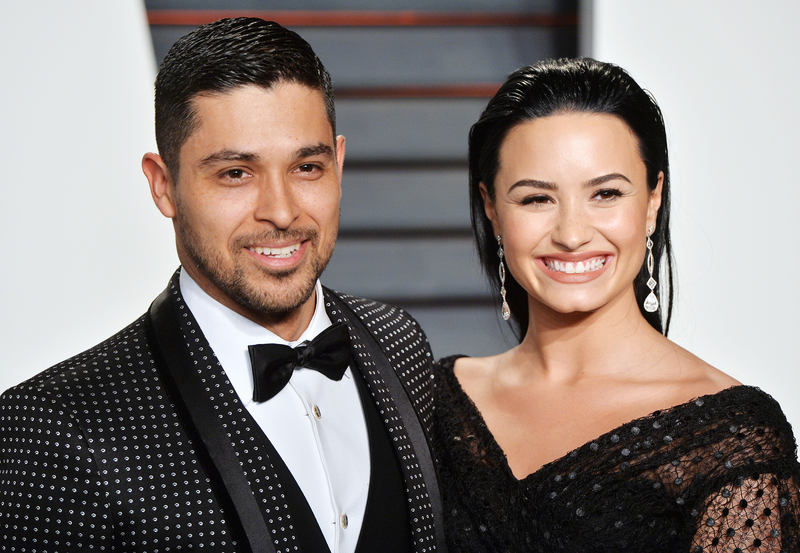 Before getting close with the athlete, Lovato announced via Instagram on Friday, June 3, that she and 36-year-old Valderrama — who she first met in 2010 — were pulling the plug on their relationship. Prior to his budding romance with Lovato, Beckham Jr. was last linked to Khloé Kardashian. Despite romance rumors, an insider confirmed to Us back in June that the football player and Keeping Up With the Kardashians star, 31,were not an item. The duo got cozy at Scott Disick’s 33rd birthday bash at 1 Oak in Las Vegas on May 27. Then they reunited days later at Drake’s Memorial Day pool party in Hidden Hills, California, on Monday, May 30. The New York Giants wide receiver spoke out about speculation that he was courting Kardashian in an interview for GQ’s August 2016 issue. "Whoever was there taking the pictures inside of a private party, inside of a private-er, private-er area of the house — we were in the kitchen of the house, where there was only like 15 people. It&apos;s just kind of like…&apos;dating&apos;?" he told the publication. "I just met this person. This is maybe the second conversation we&apos;ve had."